Acrylic on canvas (18×24”), part of my Circles Portfolio. 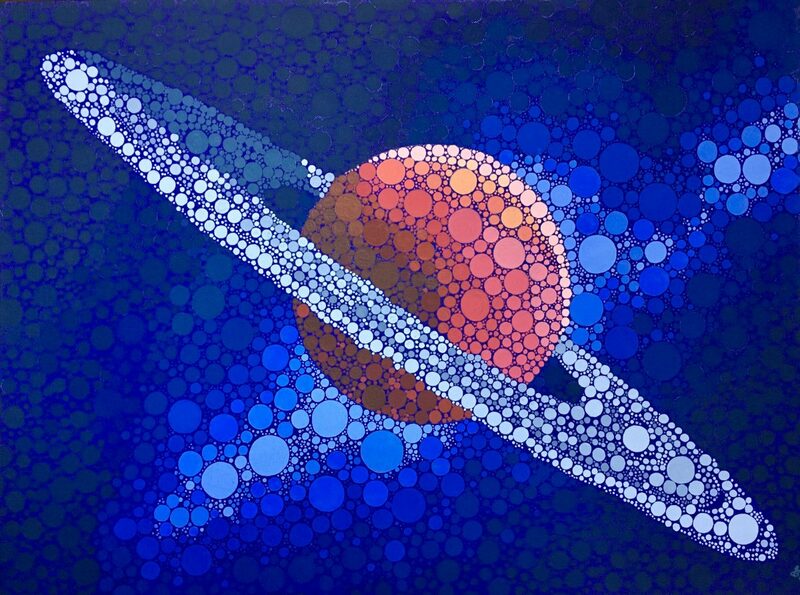 My aim in this painting was to push coloured circles as far as they can go in the way they can describe shape and depth – I was particularly pleased in the way that I have been able to visually describe the shapes and flow of the rings around the planet. This artwork is copyright © Jackie Burns. All rights reserved.